Drop a pin almost anywhere on a map of Ireland and you’ll probably be able to get there in under four hours. So, why not spend your weekends exploring the country? We’re rounding up some of the top ways to spend your downtime. Beginning with one of the gems in Ireland’s crown – Co. Kerry. 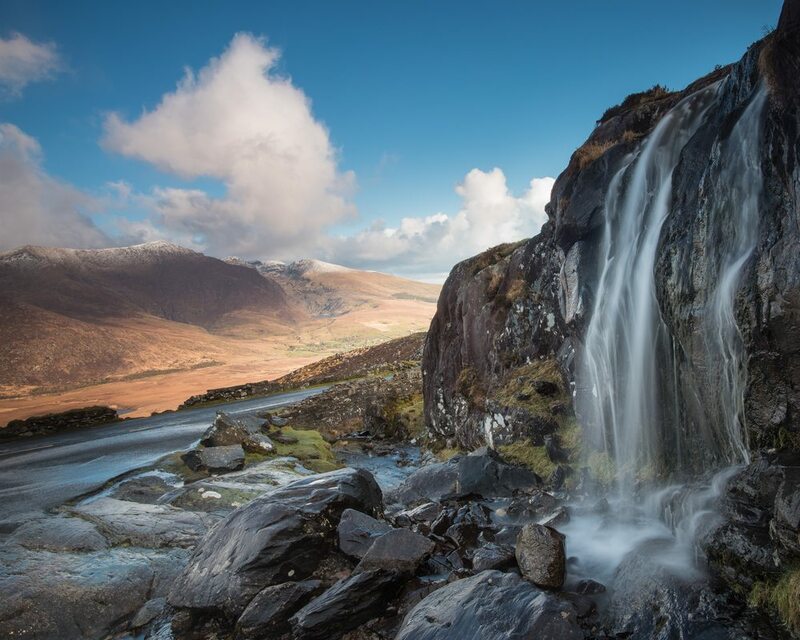 Aptly nicknamed The Kingdom, Kerry will certainly charm you with its abundance of wild beauty. Prepare to fill your lungs with some of the cleanest air, your eyes with jaw-dropping scenery and your belly with some of the freshest seafood you’ve ever tasted. The best way to explore this beautiful part of Ireland is by car, so grab some of your new friends and hit the road. The Ring of Kerry is one Ireland’s most scenic driving routes and has been captivating tourists for generations. Mountains graze the clouds as winding roads take you past crashing waves, gushing waterfalls and babbling streams. Some of the most impressive sites on the route include Skellig Michael – a former monastic settlement. Abandoned in the late 12th century, it’s now a UNESCO World Heritage Site. 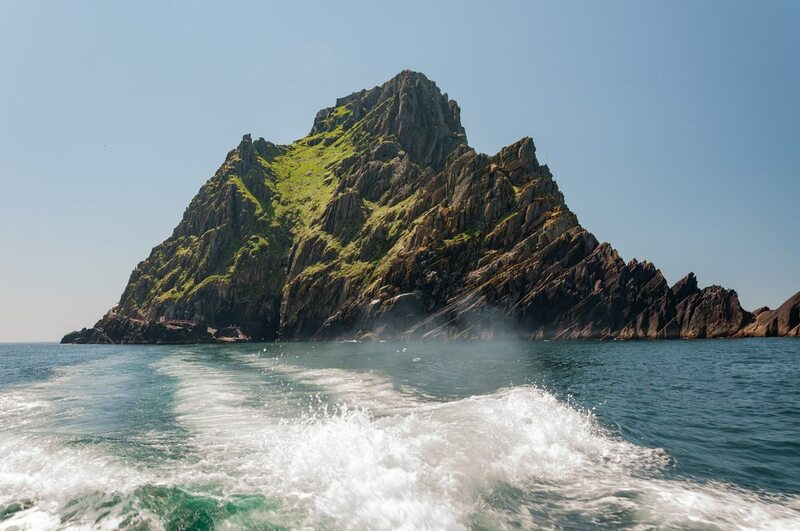 You might recognise this ancient jagged Island, it recently starred as Luke Skywalker’s home in Stars Wars: The Force Awakens. If the weather conditions permit, you can catch a boat to the islands to walk among the monastic beehive huts and observe its only inhabitants – a colony of bright-beaked and charming puffins. 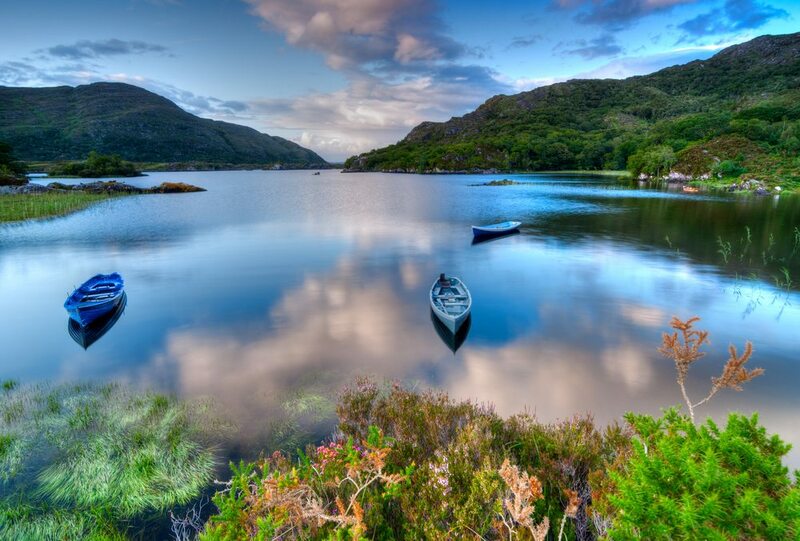 No visit to Kerry is complete without a wander around the tranquil Killarney National Park. Comprised of three crystal-clear lakes, this stunning location is surrounded by Ireland’s highest mountains and an ancient woodland. Nature enthusiasts will find plenty to explore here – you might even spot one of the rare white-tailed eagles that soar majestically over the landscape. One thing is certain, you will feel a million miles from your office desk. 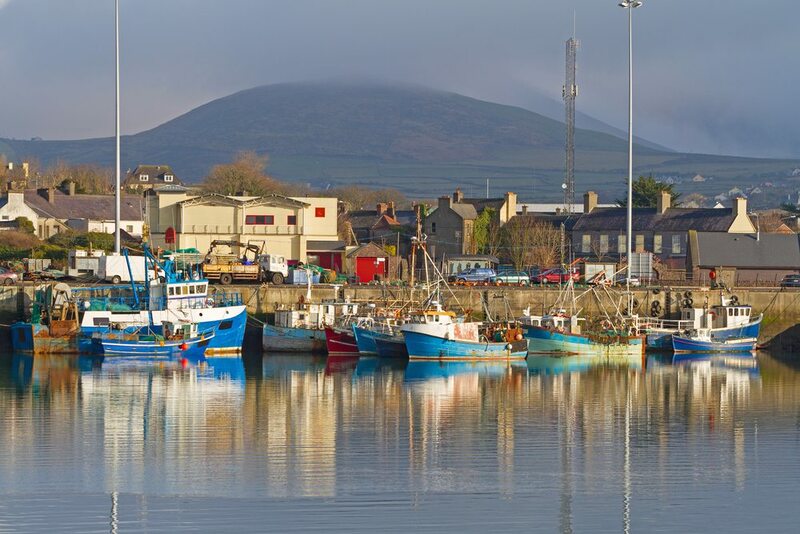 Dingle is one of Ireland’s most charming towns. It’s part of the Gaeltacht region which means that the Irish language is spoken by the locals – but don’t worry, they speak English too! This enchanting town has a bohemian vibe with streets filled with colourful houses, pubs that double as shops and vibrant music scene – their annual Other Voices music festival has attracted acts like Damien Rice, Amy Winehouse and Ellie Goulding. A trip to Dingle isn’t complete without a visit to the town’s most famous inhabitant, Fungi the Dolphin. This friendly wild dolphin has been charming boatloads of tourists for over 30 years. Searching for the perfect work/life balance? In Ireland, you get to work with the world’s top tech talent in a role that challenges you. Find out more about moving to Ireland here.